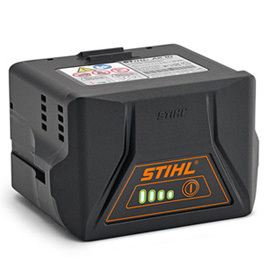 Compact lithium-ion battery for the COMPACT cordless power system with a voltage of 36 V and a capacity of 118 Wh. Battery life depends on the device type. With charge level indicator (LED). Compatible with AL 101, AL 100, AL 300 and AL 500 chargers.